Who: Including Lucy Lippard, Marcia Tucker, Fiona Templeton, Iwona Blazwick, Joanne Todd, Robert Read, Peter Kennedy and Dr Carol Duncan. 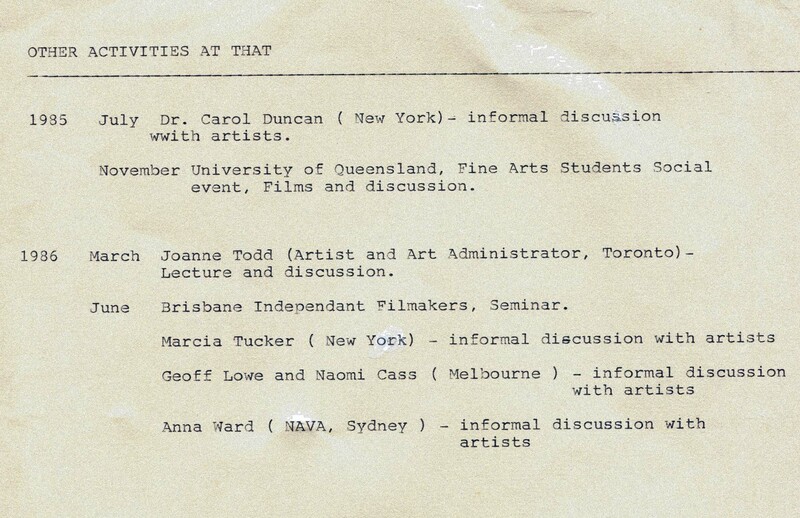 Brisbane’s arts ecology was enriched during the 1980s by a littany of informal discussions, talks and lectures presented by visiting international and interstate artists, scholars, curators and researchers. 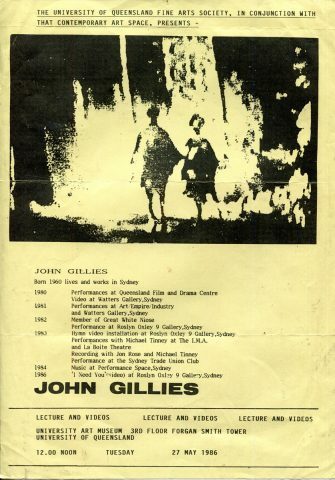 These events were made possible for artist-run spaces by working in collaboration with Brisbane arts institutions includng University of Qld Art History department and Fine Arts Society, IMA and QCA.